Where the hell is Dumbleyung! 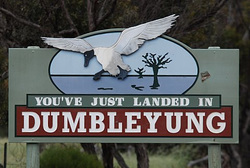 That is the first reaction to anyone who says they are from Dumbleyung..."so where the hell is Dumbleyung!". Dumbleyung is a rural shire in Western Australia, situated on the southern edge of the Central Wheatbelt and Northern edge of the Great Southern. The Shire has two small but friendly and vibrant towns, Dumbleyung and Kukerin. Both are predominantly wheat and sheep farming communities. Dumbleyung Lake is approx. 8kms from the town of Dumbleyung. 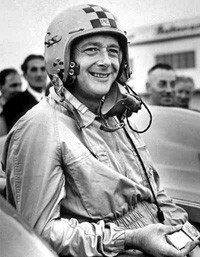 Worldwide attention was given to Dumbleyung when Englishman, Donald Campbell, broke a world speed record in his BlueBird on the lake in 1964. Driving - approx. 3 - 3.5 hours south east of Perth... 1 hour south east from the Albany Highway turnoff. 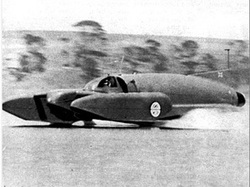 2.5 hours east of Bunbury, 2.5 hours north of Albany, 1 hour east to Lake Grace and approx. 5 hours south east to Esperance.